How Long Is My Shipping Time? MRL Analog Multi-frequency Calibration Tapes 1/4" and 1/2"
Now I'm Really Confused. What MRL Tape Do I Need? What Tape Should I Use? This hardware set is designed for 1/4" RMGI, ATR, 3M, Quantegy, or AMPEX metal NAB three screw take-up reels.. 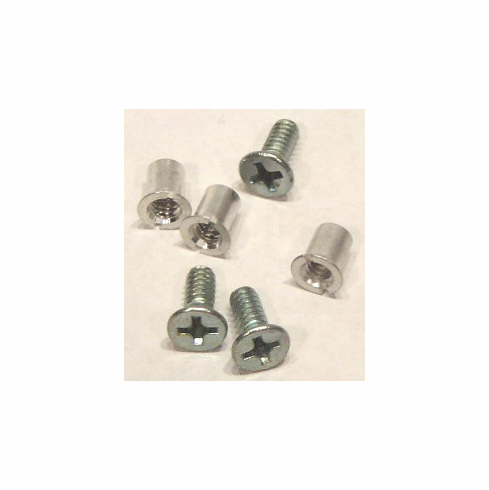 Contains approximately 100 matched screw fasteners (barrel bolts) and approximately 100 high quality stainless steel screws for physical strength and to avoid the screw seizing. These hardware sets are a must if you're working with pancakes or if you often swap out flanges. Copyright 1998-2018 US Recording Media, LLC. All rights reserved.